The histories of four neighborhoods and their respective walking tours have been digitized in their entirety: the Loop, the Lower West Side, Washington Park, and the South Lakefront. The histories and tours are accompanied by the historical and contemporary images provided in the original text. 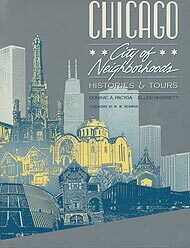 Read four chapters from Chicago: City of Neighborhoods. 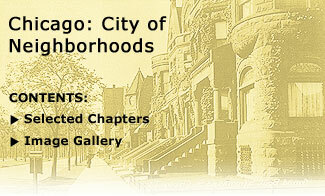 View images from Chicago: City of Neighborhoods.